You may remember the post about the new Warp Core control system module (right). 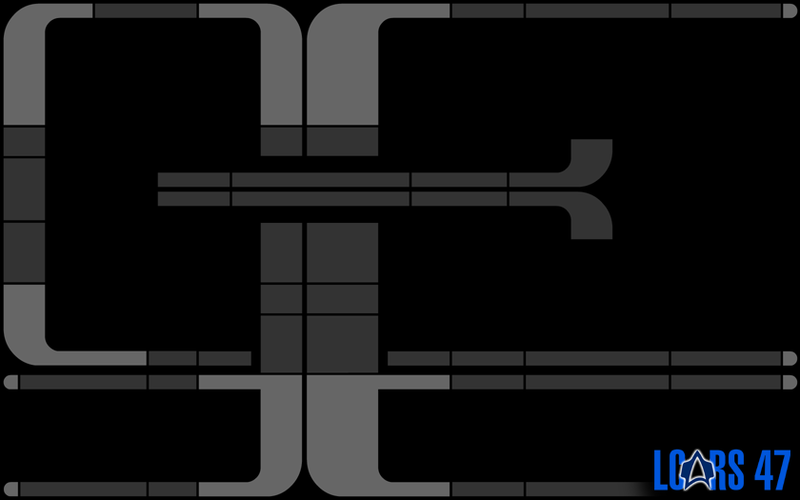 Well, that's been scrapped now, and replaced with a new, more technical looking layout (below), similar to the Defiant's warp core situation monitor. 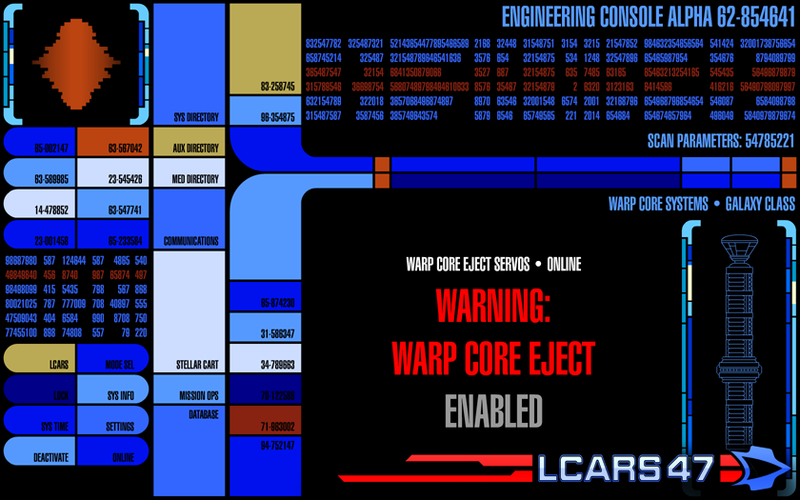 I think that this gives us more variation in the LCARS UI, rather than having the same basic layout for everything. The bad news is that this will delay the 6.2 release, but I'd rather hold off and work on something better than spend a month on something that could be better. The image is currently gray, but we'll add color to it when the layout is finalized. 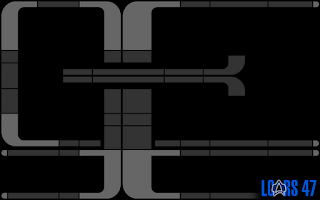 And yes, it will support custom warp core diagrams when you install your preferred Drydock plugin. Anyways, that's about it for today. Have a great weekend guys.